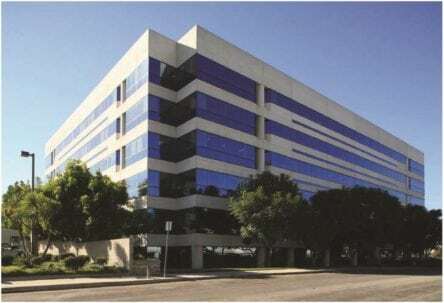 New York – On October 15, 2015, Admiral Capital Group (“Admiral”) announced the successful sale of 1700 East Walnut, a 119,484 SF, 99% leased office building located in El Segundo, CA. Built in 1986, the six-story building is adjacent to Los Angeles International Airport. The asset was wholly owned by Admiral since July 2011. Admiral acquired 1700 East Walnut at a significant discount to replacement cost due to pending lease expirations and the property’s capital needs. Admiral repositioned the property through renovations to the common areas and vacant office space to cater to the growing demand in the area for a more open and creative environment. The property was well positioned in the market with close proximity to LAX, executive housing and extensive retail amenities. During its hold period, the enhancements made to the property resulted in a significant improvement in the quality of the tenants, including a large global media company. Both the buyer and seller were represented by CB Richard Ellis. The sale represents the seventh realization for Admiral in its first value-add real estate fund, Admiral Capital Real Estate Fund, L.P. (“ACRE I”). Admiral has four other assets under management from ACRE I including three multifamily properties (Atlanta, GA, Kent, WA and Manhattan, NY) and a hotel property in Fort Worth, TX. Admiral Capital Group was founded by David Robinson, philanthropist and NBA Hall of Famer, and Daniel Bassichis, formerly of Goldman Sachs. Admiral, in partnership with USAA Real Estate Company identifies value-add opportunities through equity and debt investments in office, hotel, multifamily and retail properties valued between $20 million and $70 million. Admiral’s founders have also pledged 10% of their profits to philanthropic causes in areas where the fund invests, building on Robinson’s lifetime commitment to support education and lower-income communities. For more information visit www.admiralcg.com.